Taiwan’s Lawrence S. Ting Memorial Fund and the Ho Chi Minh City-based property developer Phu My Hung launched the joint “Moving forward with IT” project Tuesday to set up computer labs in selected schools in each of Viet Nam’s 64 provinces and cities. 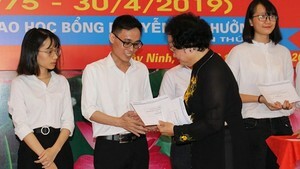 The first two computer labs, located in Doan Ket High School in Dong Nai Province and Chau Thanh High School in Ba Ria -Vung Tau Province, opened Tuesday in time for the beginning of the new school year. “We are expecting to finish constructing the 19 labs in the southern provinces by the end of the year,” said Ms. Fei Tsong Ching Ting, the fund’s chairperson and widow of the fund’s namesake and founder of Phu My Hung Corp., Lawrence Ting. “This project comes at the right time, when the Ministry of Education and Training has just announced the start of computer training courses for first year high-school students,” she added. 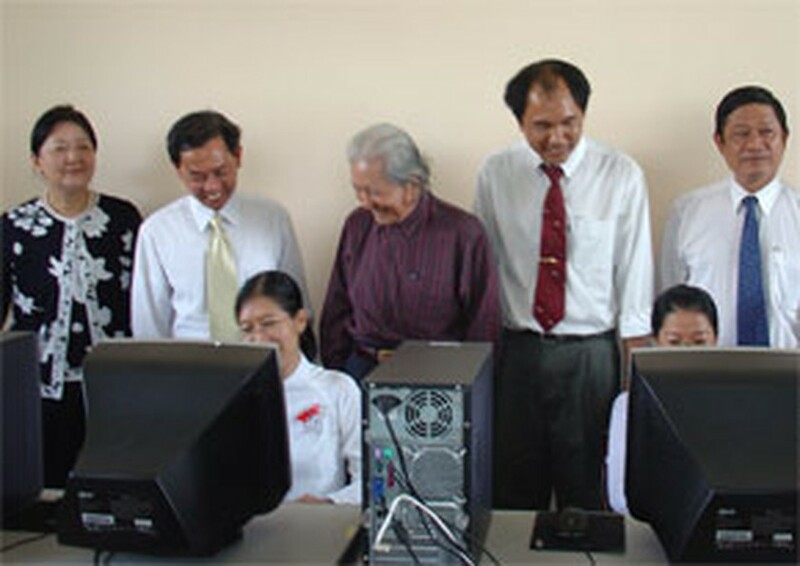 High schools in Viet Nam currently lack sufficient computers and Internet facilities. The Lawrence S. Ting Memorial Fund and Phu My Hung plan to equip each lab with servers, 20 to 25 computers installed with licensed Microsoft operating systems, printers, a projector and a projection-screen. The computer lab at Doan Ket High School is worth about US$18,000 and the other US$17,500, the donors say. They will spend more than US$1 million on the project’s first phase. The Lawrence S. Ting Memorial Fund was formed in November 2005 to commemorate the late Phu My Hung founder’s great contributions to the development of Saigon South in Ho Chi Minh City’s District 7. The foundation also awards scholarships for universities and high schools.